As it's been a couple of weeks now since I received June's Amarya Beauty Box I've had some time to try everything out, so, as promised in my original post, here's a little review of each product in this month's box! This hand & body créme has a gorgeous vanilla scent which almost makes it smell good enough to eat! Not too much to say about this product other than I've found it to be really moisturising but I don't think I will be purchasing this in full size as I already have plenty of other moisturisers! Aqua, Aloe Vera, Apricot Kernel Oil, Jojoba Oil, Cetearyl Olivate, Sorbiton Olivate, Xanthan Gum, Phenoxyethanol, Vitamin E, Vanilla Oil, Rosemary Extract. I've always been a little dubious about the whole BB cream thing so this is actually the first one I've tried. 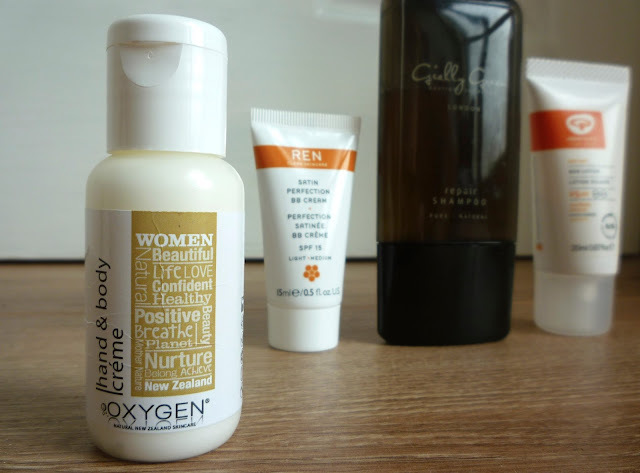 When I first opened this and saw it was pretty orange (more orange than the photo below shows) I thought there was no way this would work with my pale skin. Surprisingly it does blend out really well thanks to it's colour adaptive technology, but you can see from the photo it still doesn't quite match my super-pale skin. 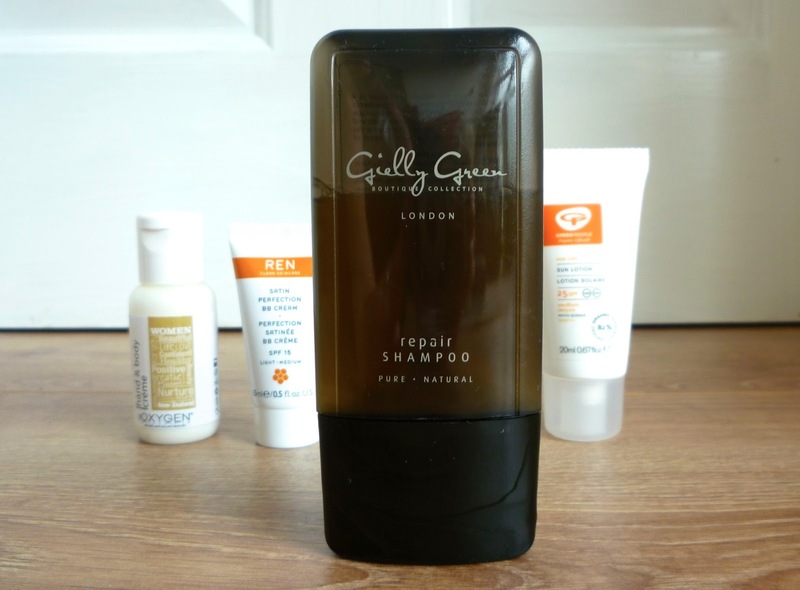 I have found that once I've applied it to my face and neck it does look natural on me though so I'm more than happy to keep using it for now! This REN BB cream has a subtle orangey scent and gives SPF 15 protection which saves having to use an extra product underneath. It does a great job of smoothing out your skin and has a long-lasting (for me about 6 hours) matte finish. I've used this on it's own on days where I feel like having a more natural look, but I've also found it works great as a base for foundation to give a really flawless looking finish. As far as I'm aware, this is currently only available in a light-medium shade. For this reason I don't think I will be purchasing the full size, but if REN release a lighter shade in the future for those with extra pale skin then I would be tempted! I wasn't sure how well this would work when I first squeezed some out into my hand as it's quite runny compared to other shampoos, but I was pleasantly surprised with how good this shampoo is. The scent kind of reminds me a little of washing up liquid as it has a slightly lemony hint to it, but it's not at all unpleasant. The description says it's a fleur de vanille and lemongrass fragrance! I have a lot of hair so I have to use quite a lot of this shampoo to get my hair clean, but the results really are great - hello soft, healthy looking hair! The only slight issue I have with this product is the bottle. I'm not sure if mine was just a dodgy one, or if it's because of the consistency of the shampoo, but my bottle seems to leak which is quite annoying considering it's designed as a travel bottle. Even though it is a little on the expensive side and I will go through it so quickly as I have long hair, I think I'll be investing in a full size bottle! The Green People Sun Lotion is actually one that I've used and loved before! I don't usually go out in direct sunlight for long as I tend to burn, but when I do this sun lotion definitely helps! It's so easy to rub in and doesn't leave any white streaks like some other sun lotions can do. It's also unscented which I personally prefer! I can't vouch for it's water resistance as I haven't used this in a swimming pool or at the beach, but if I ever do I'll make sure I update this review! If you're interested in subscribing to the Amarya Beauty Box you can find out more on their website. Lovely products there hun. 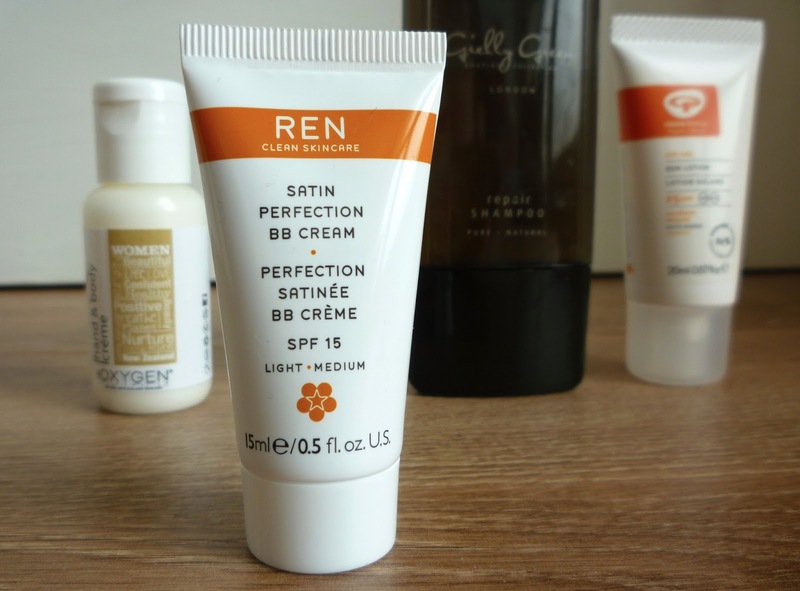 I love tinted moisturisers and BB creams and REN was one that was on my wishlist but after seeing how orange it looks, I'm not too sure it will suit my skin either . Shame they only do one shade. If they decided to bring out other shades I'd be more than happy to purchase one. 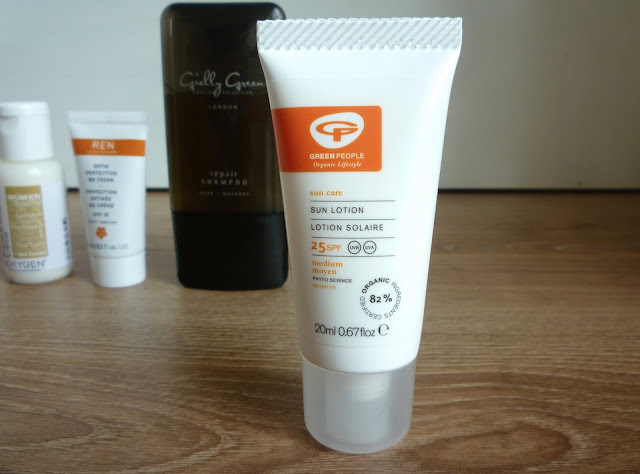 I have been using this BB Cream from a couple of weeks now and I love it :) it looks very smooth and natural on the skin but I must say i have olive ish skin and it works very well with me but it could look more orangy on a paler skin tone.